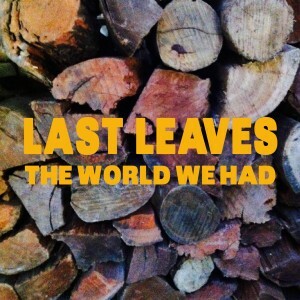 Heralding the imminent arrival of the long-awaited debut album from Melbourne’s Last Leaves, first single 'The World We Had' is a gloriously fuzzy slice of guitar pop. Comprised of ex-Lucksmiths Marty Donald, Louis Richter and Mark Monnone with Noah Symons of Great Earthquake on drums, Last Leaves have put the finishing touches to their album 'Other Towns Than Ours' and launch it out of the blocks with the tautest, hook-laden track of the set. For all its immediacy, though, 'The World We Had' also packs an emotional punch. What begins as a fond reminiscence of a long-ago winter weekend away becomes a rueful reassessment of where things stand now. “I’m sure we were never so happy before,” asks the quietly devastating middle-eight, “but darling, don’t you think we could say the same for since?” As the outro crashes in — all jangling guitars, tambourines and woo-woos — the question posed earlier in wonder upon a lover’s first experience of snow (“the world we had— where did it go?”) is deftly reframed as a lament for a fading love. Produced by Melbourne-based UK producer Gareth Parton (The Go! Team, Big Scary, Foals), 'Other Towns Than Ours' will be released this October in collaboration with the Lost And Lonesome Recording Company of Australia.